Description: A free customizable conference room reflected ceiling plan template is provided to download and print. 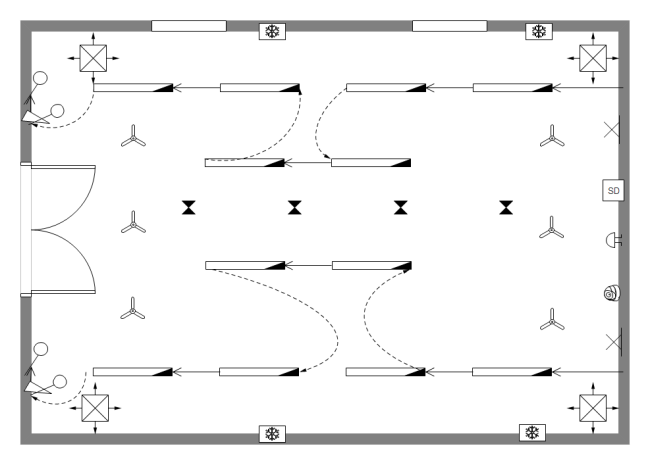 Here is a simple conference room reflected ceiling plan example created by Edraw Max, which is available in different formats. Simply download this conference room reflected ceiling plans edit it to make it your own in minutes. For your uniqe taste of reflected ceiling design and house structure, create custom ceiling plan from professionally designed reflected ceiling plan templates you can personalize in minutes.